If you are new to this mystery, you should start with my first post. On July 9, 1997 my uncle was hiking in a wooded area around Indian Lake, New York. He tripped on what he thought was a tree root sticking slightly above ground. When he looked back he noticed the corner of this box above ground. The fact that he was far from any marked path or road, and was in an area that few if any usually hike, sparked his curiosity. The box was sticking up by only 2 or 3 inches, and from the look of the ground around the box, he figured it had been there quite a while. With only sticks to dig with, it took him a while to pry it from the ground. The 3 shapes on the top of the box (an upside down triangle and two circles), where only apparent after it was later cleaned up. The box had no lock on it and was easily opened. Inside the box my uncle found 21 water-damaged photos, 3 8mm home movie reels, and various documents. Most of the photos are of children which led my uncle to fear the worst... that he had stumbled upon evidence of a crime involving children. He mentioned that his blood ran cold when the began reading the documents also found in the box. He indeed had stumbled upon a crime involving children, but instead of some child molester, it seemed that these children were all part of some United States Government experimentation. Those experiments where known as the I.L.P or the Indian Lake Project. In 2002, my uncle died. This box was given to me shortly before he passed away. He was afraid of the contents in the box, and wished he had never found it. I feel it is my obligation to share it's contents, and the truth behind what had been burried for 50 years. 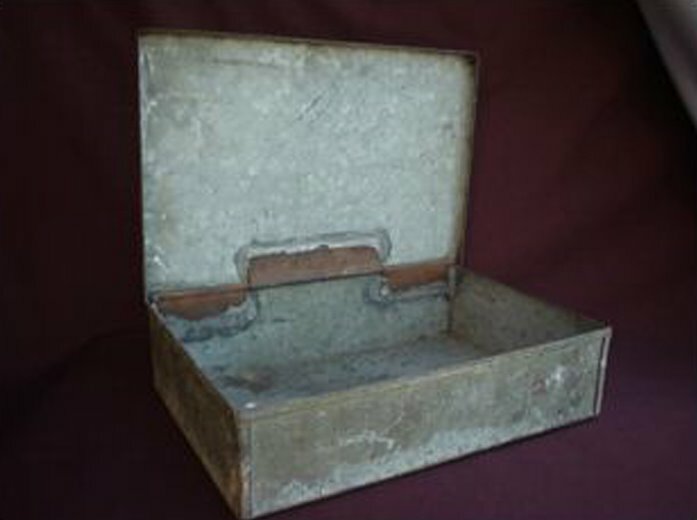 When my uncle found an old metal box in the woods near Indian Lake, New York, he did not know it contained a mystery. The contents of that box are now beginning to shed light on events that took place fifty years ago. Subscribe to this sites feed!